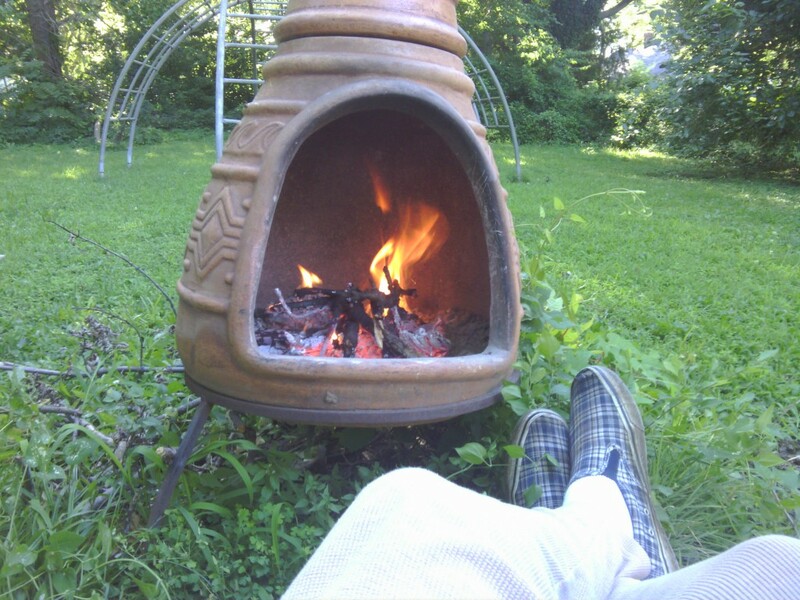 i took advantage of the cooler weather this morning (56 degrees) and built a fire in the chimenea. winds are still coming out of the north. i may light up the coleman stove and do this again tomorrow. You lucky dog! It was 71 last nite here. Dad.Is that the same one you bought last time I went to see you? i knew you would be jealous dad! no, this is a new chimenea that jenny’s family bought for us on labor day.